The market of helicopter services which still was considered as one of stablest and profitable in aviabranch, was sharply reduced. It is visible according to the largest player of sector in Russia "Utair": in January-September the volume of a helicopter cargo transportation of the company fell almost to 35 %. Participants of the market consider as one of the reasons decrease for 40 % of rates under mullions-strong contracts of the United Nations with the Russian helicopter companies. Demand for helicopter services Besides, decreases and from industrial customers, first of all oil industry workers and gas workers. Yesterday the Utair group published results of the work in nine months 2014. The group transported 8,3 million people, for 12,4 % more than for the similar period of last year, employment of chairs increased by 3,4 % – to 81,8 %. Thus the company fixed appreciable decrease in traditionally profitable segment of helicopter works. The volume of passenger traffic by helicopters was reduced by 9,9 %, to 529,7 thousand people, and cargo – at all for 34,4 %, to 70,6 thousand tons. 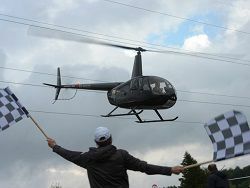 In "Utair" refused to make comments on the reasons of decrease in volumes of helicopter works. There only specified that in 2012-2013 the share of this segment in total sales of group made 23 %. 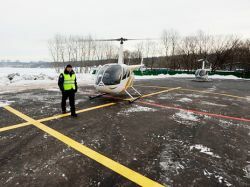 The sources "Ъ" in the helicopter market say that decrease in profitability of contracts with the United Nations negatively affected results of works "Utair" in a helicopter segment. Flight rates on them fell approximately to 40 %, including because of reduction of the budget of the organization. According to Bloomberg, the budget of the United Nations for 2014-2015 will be reduced by 1 %, having made $5,5 billion. But $7 billion more are not included in it allocated for peacekeeping operations. On the request "Ъ" to confirm the fact of depreciation of contracts in the American department United Nations on public relations only reported that "financial information of service providers for tenders is commercial and confidential therefore does not reveal". 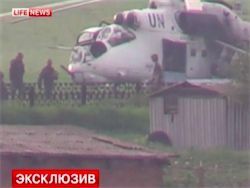 The general director of the PANH research-and-production company (renders helicopter services, including for missions of the United Nations in Afghanistan and Sudan) Andrey Kozlowski says that "falling of the prices for helicopter services for the United Nations occurs for the last several years". 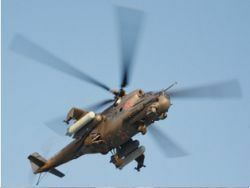 Competition growth from all main helicopter operators working with the United Nations, including "Utair", "Chip", "Nizhnevartovskavia" and a number of foreign operators became the main reason. But while, according to mister Kozlowski, the business marzhinalnost at performance of flights for the United Nations "is on the sufficient value, allowing to provide necessary level of safety of flights". Head of PANH also added that in the United Nations plan to change tendering process process for transparency increase: them will decentralize, that missions could take in them direct part. According to the United Nations, in 2013 the total amount of air-transport services was estimated at $670 million (the largest share – 22,3 % in the general list of the main services for the United Nations). In 2013 the average sum of the contract varied from $170 thousand to $16 million. 75 % of all won air-transport tenders are the share of a share of the Russian carriers. The main part of contracts is won by Utair group (its three subsidiaries also take part in tenders). According to holding "Helicopters of Russia", now about 200 helicopters of the Russian production are involved in peacekeeping and humanitarian operations of the United Nations in Afghanistan, the Southern Sudan, Somalia, East Timor, the countries of Africa. 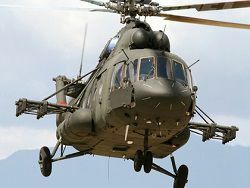 Generally it is multi-purpose helicopters of Mi-8/17 family, and also the most load-lifting in the world of Mi-26T and specialized the Ka-32 type. The analyst of department of aircraft and the defensive industry of Frost & Sullivan of Alix Lebulanzher considers that the budget of the United Nations suffered from the general financial recession, and its consequences were reflected in the market both helicopter, and logistic services as a whole. According to the expert, presence of the Russian companies in this market will decrease, despite their high competitiveness. "The United Nations will actively look for replacement to the Russian helicopters and aviation equipment, using pilotless flying systems thereby to lower operational and logistic costs", – the analyst considers. Decrease in demand from the industrial companies can be one more reason of recession. According to Alix Lebulanzher, the tendency of replacement of helicopters by planes and small aircraft for decrease in expenses on servicing and costs of the personnel in a year is noted. "Expenses of oil and gas sector and a mining industry on helicopter equipment 10 times more, than on planes. The statistics of incidents also not in favor of helicopters", – notices the expert. 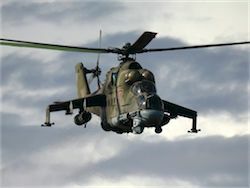 The head of analytical service "Aviaport" Oleg Panteleev adds that in the last some years the largest players of the Utair and Gazpromavia market actively increased park, having contracted nearly 120 helicopters of the class Mi-17, without considering tens easy cars, but these capacities appeared superfluous: the Russian oil and gas companies began to put less in geological exploration, large-scale construction within preparation for Olympic Games in Sochi came to the end, demand for services in domestic market started to fall.